Get in touch with nature at Dolphin & Whale Watching and Cottesloe Beach. We've included these beaches for you: Scarborough Beach and Mettam's Pool. 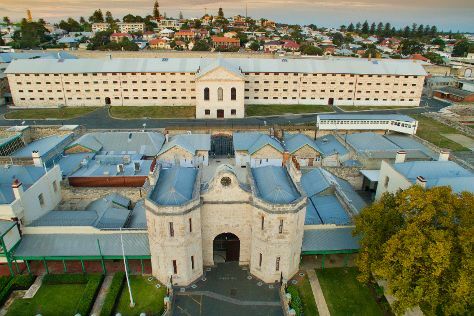 Explore Perth's surroundings by going to Warnbro Beach (in Warnbro), Fremantle (Fremantle Prison, The Shipwreck Galleries, & more) and Caversham Wildlife Park (in Whiteman). There's lots more to do: contemplate the waterfront views at Swan River, enjoy the sand and surf at Quinns Rocks Beach, stroll around Kings Park & Botanic Garden, and learn about wildlife with up-close encounters at Perth Zoo. To find maps, ratings, reviews, and more tourist information, read our Perth road trip website . Expect a daytime high around 38°C in February, and nighttime lows around 20°C. Finish up your sightseeing early on the 23rd (Sat) so you can travel back home.